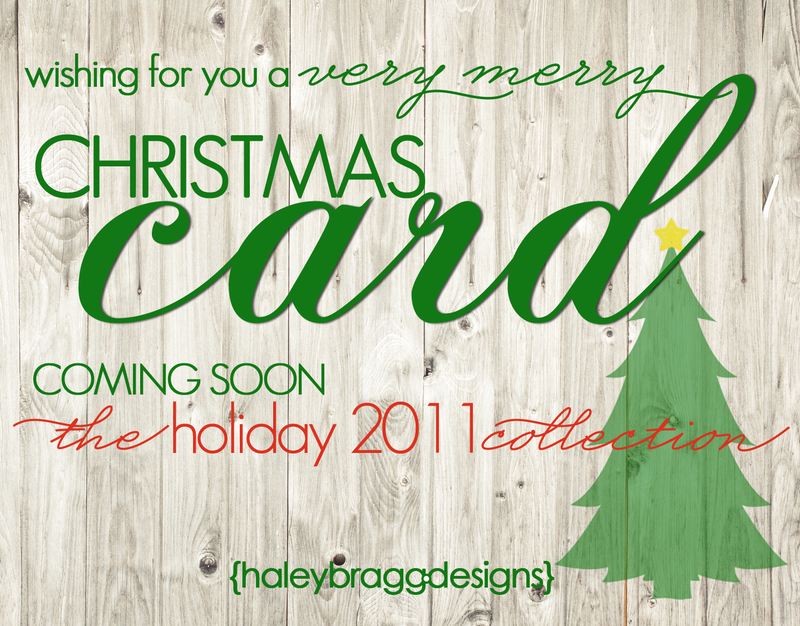 Nashville Card Design | Coming Soon, Holiday 2011! I’m excited that I’ll be able to introduce you to my Holiday 2011 Collection very, very soon! This year I have been really inspired by bright colors and bold patterns and I wanted that to be reflected in my holiday designs. Through my Etsy shop, you will be able to choose from a number of fresh, innovative designs or I will work with you to create a custom card that perfectly expresses your family’s unique style. I’m committed to designing paper goods that are more practical and less predictable than the norm. If you want to send a holiday card that will make it from the mailbox to the refrigerator, send me an email (haley@haleybragg.com) or leave a comment and I’ll be sure to notify you when the designs are available for browsing! ← Nashville Invitation Design: A Magazine Feature!